We all joke about airline and hospital food right – is that stuff even real food? Check out the photo of the vegetables that were part of an Australian airline meal. 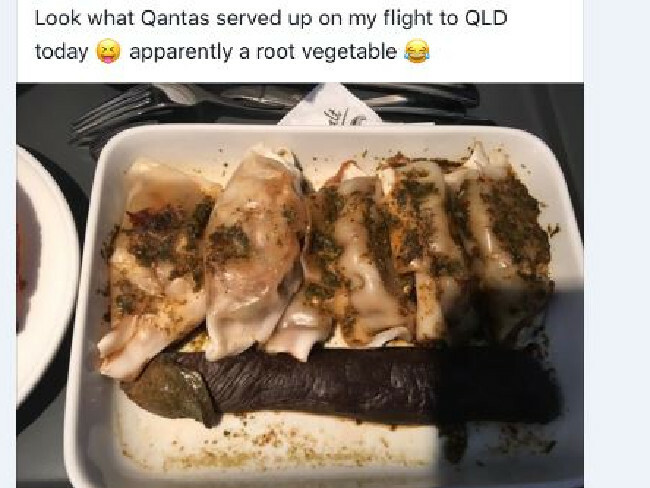 The food was served to passengers on a Qantas flight, and as you can see, the image bears a striking resemblance, to, um, you know a certain part of the male anatomy! When the passenger asked the flight attendant what exactly she was being served, the attendant said it was a root vegetable. The passenger took the picture because it wasn’t something she could pass up. The mystery vegetable is reportedly a Japanese Eggplant. 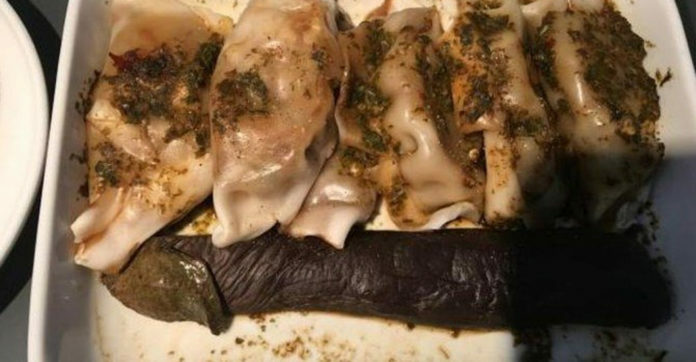 The passenger who took the picture of her (pornographic) meal decided to pass on the eggplant this time. Take a look at this meal! The rest of her meal was quite delicious, however. After seeing this, you may think twice about eating that next in-flight meal!